Laurie Miller had hand surgery yesterday, but is home for her recovery time. Pray for her as she strives to follow doctor’s instructions in the coming days. The flu abounds. I won’t list names, but be careful or you’ll be a victim too. Read the Bible – You pick the chapters or verses again today. She passed away on Christmas Eve 2017 in Kentwood. She was born in Brookhaven, MS on November 17, 1955 to Margaret Lucille Edwards White and Grover E. White, Sr. She was a member of Airline Baptist Church, Bossier City, LA. She is survived by husband, Kenneth Mullins; 2 sisters, Mittie W. Rohner and Nancy Leglue (Hank); 2 brothers, Grover “Buster” White, Jr. (Kathy)and Robert “Nickie” White (Teresa); aunt, Mary “Honey” McGehee; and numerous nieces and nephews. Preceded in death by parents; grandparents, Charlie and Mittie Crawford Edwards and Lanier and Dessie Thornhill White; brother-in-law, J.T. Rohner; step-daughter, Jennifer Mullins. Visitation at McKneely Funeral Home, Amite, from 5 p.m. until 9 p.m. on Thursday and from 8 a.m. until religious services at 11 a.m. on Friday, December 29, 2017. Interment Stevens Cemetery, Amite. For an online guestbook, visit http://www.mckneelys.com. 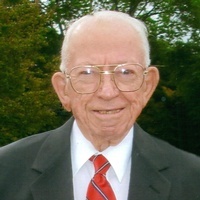 Edwin Pierce Whitson Jr. passed away surrounded by family on Sunday, December 24, 2017 at his home in Amite, Louisiana at the age of 94. He was born on September 22, 1923 in Cleburne, Texas. He was a resident of Amite, Louisiana after spending 58 years as a resident of the Lake Charles and Sulphur area. Edwin was a World War II Veteran having served his country in the U. S. Army – Corps of Engineers. After leaving the service in 1946, he returned to Texas A&M to complete his degree in Mechanical Engineering. He met his wife on a blind date at College Station and they married at her home on Himalaya Plantation on September 2, 1947. He was a deeply devoted husband and father, a friend to many, and made a lasting impression to all who knew him. 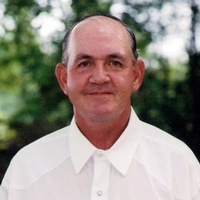 Edwin was an avid outdoorsman and enjoyed fishing, hunting, and golf. He was a man of deep faith and served his church as an usher and religious education teacher. Edwin is survived by his children David Lee Whitson, Priscilla DiLorenzo and her husband Stephen DiLorenzo, Alice Regan and her husband Jeffrey Regan, his eight grandchildren Michael Whitson, Jason Whitson, Katherine Whitson, Jennifer Gallagher, Megan Gallagher, Emily Prescia, Kelly Regan, and Ryan Regan, and two great grandchildren Emma Grace Prescia and Brooklyn Marie Jefferson. He is also survived by his sisters-in-law Margie LeBlanc and Carolyn Landry and a host of nieces and nephews. Edwin is preceded in death by his wife of 59 years Hattie Landry Whitson, his son Theodore Edwin Whitson, his parents Edwin Pierce Sr. and Mattie Lee Whitson, and his sister Judith Whitson Amps. Relatives and friends are invited to attend the Mass of Christian Burial at St. Helena Catholic Church, 120 S. First St., Amite, LA, on Friday, December 29, 2017 at 10:00AM. Visitation will be held in the church hall beginning at 8:00AM. Interment will follow at Consolata Cemetery, 2300 Country Club Road, Lake Charles, LA. Ida BalsanoTryniecki, age 97 was born April 23, 1920 and left her earthly life to be with the Lord on December 24, 2017. She was a native of Roseland, LA and a resident of Amite, Louisiana. Ida is survived by her son, Jim Tryniecki of Amite; and three daughters and their spouses; Ann and Vince LaBarbera; Jan and Julian Ledet of Amite; and Valerie and Randy Lambert of St. Amant, Louisiana; 11 grandchildren, 28 great-grand children and one younger brother and spouse, Tony and Bettye Balsano of Burkeville, Texas. 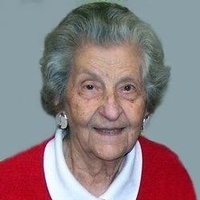 Ida is preceded in death by her loving husband of 74 years, Joseph Tryniecki, by her parents Antonino “Tony” and Francesca “Sara” Balsano, a sister Calina Balsano, and two brothers, the first Tony Jr. and Joseph Balsano and by a daughter-in-law, Linda R. Tryniecki. Visitation will be at St. Helena Catholic Church Hall on Thursday, December 28, 2017 from 9:00AM until 11:30AM with Mass of Christian Burial at 12 Noon officiated by Fr. Mark Beard. Burial will follow at Amite Cemetery on S. Duncan Avenue. Arrangements are being made by McKneely Funeral Home of Amite. The family of “Miss Ida” wishes to extend their sincere thanks to the caregivers, Alayne Granat, Barbara Didone, and Pattie Hartong for the gracious care of their mother. A resident of Amite passed away on Monday, December 25, 2017 at Affinity Nursing Home in Baton Rouge, LA. He was born October 1, 1941 in Independence and was 76 years of age. He is survived by daughter, Selyna Polk; grandchildren, Jason Overmier, Jr., Destiny Crosby, Chasity Lucito, Lisa Lucito, and Krystin Lucito; 1 sister, Mary Schiro. Preceded in death by his parents, Tony and Josephine Lucito; son, Felix Able Luctio; sister, Vita Bonfiglio. brother, Sam B. Lucito. A private service will be held at a later date. McKneely Funeral Home, Amite, in charge of arrangements. For an online guestbook, visit http://www.mckneelys.com. I don’t intend to become a weather reporter, but I do want to remind you as we have extreme weather conditions to be prepared at home and to check on others who might need your assistance in some weather related way.